Seniors Can Benefit From Herbal Medicine. The use of herbal medicine in healing precedes modern medicine by thousands of years. Ancient people, with living plants as diet staples, discovered what made them feel good, helped them sleep, healed wounds, and cured stomach ailments. Various cultures discovered healing plants in their own environment that were passed down and added to from one generation to the next. These discoveries were eventually systematized in the early civilizations of Rome, Greece, Egypt and China. Ancient scrolls from these areas show elaborate cataloging of medicinal plants. Herbal medicine is a major component in all indigenous peoples’ traditional medicine and a common element in Ayurvedic, homeopathic, naturopathic, traditional oriental, and Native American Indian medicine. Echinacea...Echinacea has traditionally been used to treat or prevent colds, flu, and other infections. Echinacea is believed to stimulate the immune system to help fight infections. Gingko Biloba...Used to treat a variety of ailments and conditions, including asthma, bronchitis, fatigue, and tinnitus. People use ginkgo leaf extracts hoping to improve memory; to treat or help prevent Alzheimer's disease and other types of dementia. Bilberry...Historically, bilberry fruit was used to treat diarrhea, scurvy, and other conditions. Today, the fruit is used to treat diarrhea, menstrual cramps, eye problems, varicose veins, venous insufficiency and other circulatory problems as well as diabetes. Ginseng...This Asian plant has been used for improving the health of people recovering from illness, increasing a sense of well-being and stamina, and improving both mental and physical performance. It is also used in treating erectile dysfunction, hepatitis C, and symptoms related to menopause and lowering blood glucose and controlling blood pressure. Goldenseal...Historically, Native Americans have used goldenseal for various health conditions such as skin diseases, ulcers, and gonorrhea. 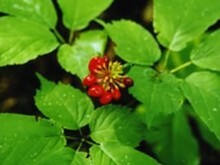 Now, goldenseal is used for colds and other respiratory tract infections, infectious diarrhea, eye infections, and vaginitis. It is occasionally used to treat cancer. It is also applied to wounds and canker sores, and is used as a mouthwash for sore gums, mouth, and throat. Chamomile...Often used for sleeplessness; anxiety; and gastrointestinal conditions such as upset stomach, gas, and diarrhea. It is used topically for skin conditions and for mouth ulcers resulting from cancer treatment. Licorice...Licorice root has been used as a dietary supplement for stomach ulcers, bronchitis, and sore throat, as well as infections caused by viruses, such as hepatitis. Valerian...Has long been used for sleep disorders and anxiety, as well as other conditions, such as headaches, depression, irregular heartbeat, and trembling. Kava Kava...Used to help people fall asleep and fight fatigue, as well as to treat asthma and urinary tract infections. Topically, kava has been used as a numbing agent. Today, kava is used primarily for anxiety, insomnia, and menopausal symptoms. This herb can have serious side effects in large doses. Ginger...Used in to treat stomach aches, nausea, and diarrhea. It has also been used for rheumatoid arthritis, osteoarthritis, and joint and muscle pain. The above information is from the National Center for Complimentary and Alternative Medicine (NCCAM), a division of the National Institutes of Health. There are several herbal medicines that can help to slow the effects of aging. Recent research has shown that herbs such as ginko, hawthorn, and gotu kola can assist in the treatment of heart disease, vascular disease, and help with Alzheimers and dementia. People do not die of old age. Major causes of death are heart disease and cancer. Pneumonia causes death in older people with weakened immune systems. Herbal treatment can strengthen the system and ward off diseases that affect the aging.